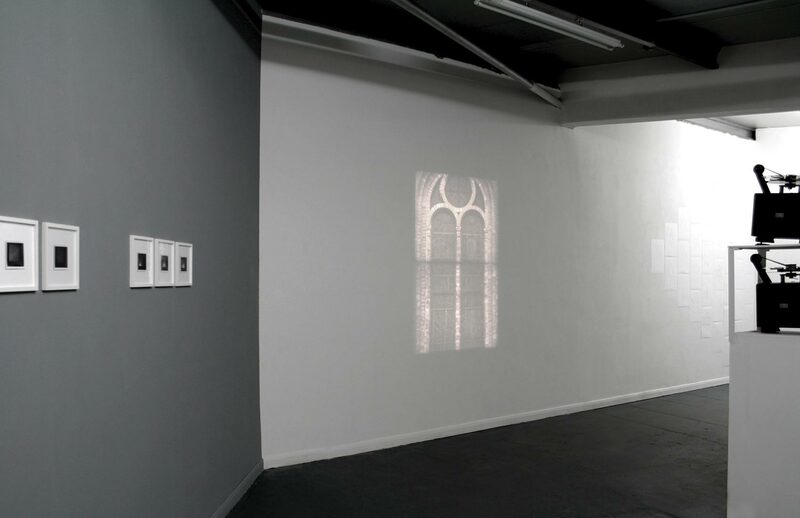 An image of a stained glass church window is de- and re-constructed across two projections. Filmed from the outside with the interior church lights off, the pictorial effect of the stained glass is rendered ineffective. The stillness of these images is broken only by the chaotic flurries of snowflakes between the camera and the window.